Speaking to local media, Mr. Ratas claimed that during a conversation on upcoming (Russian military) maneuvers near Estonia's borders, the subject of installing the Patriot system, which can intercept incoming missiles and warplanes, had been discussed, although a specific date or time for the missiles' deployment was not agreed. ​"NATO's collective position of deterrence and defense has strengthened in the Baltic region and the USA is indispensable to ensuring the security of our immediate neighborhood, as well as all of Europe," Mr. Ratas said. The pair's rendezvous was part of a four-day regional tour — Mr. Pence is scheduled to meet with the leaders of the Baltic state trio (Estonia, Latvia, Lithuania) July 31, before flying to Georgia (a non-NATO member), and then Montenegro (NATO's 29th member as of June 5). ​Pence himself acknowledged he was dispatched to the region by President Donald Trump, with a "very simple message" — the US is standing firm by its allies in Eastern Europe, and the Trump administration is committed to NATO's controversial Article 5, which provides for collective defense. Moreover, in a tweet, Mr. Pence suggested the whistle-stop tour was inspired by "recent diplomatic action" taken by Moscow, in itself driven by the recent passing of yet more baseless and needlessly punitive anti-Russian sanctions — which he himself hailed in a previous posting to the social network. ​Tallinn is not the only capital allegedly eager to get its hands on the Patriot system — Vilnius has also expressed an interest after the US military rolled out the system in the country earlier in July during a large-scale wargames exercise. It was used in conjunction with Lithuanian and other NATO states' air defense systems during Tobruq Legacy 2017 drills July 11 — 22. The drills were sizable in their scope and highly provocative in effect, involving almost 500 personnel and 30 air defense systems drawn from countries such as US, UK, Latvia and Poland. At the time, Boris Rozhin, an expert at the Center for Military and Political Journalism, said the wargames were an "unfriendly gesture" and motivated as ever by the "mythical" prospect of a Russian attack on the Baltic states. 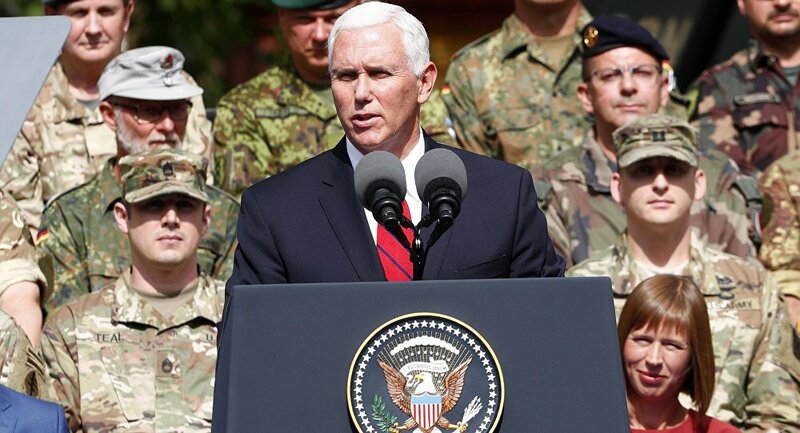 The irony of Lithuania or Estonia coveting a weapons system due to impending Russian military maneuvers, a system that was itself demonstrated during previous NATO military maneuvers, was not apparently noticed — or at least not acknowledged — by Mr. Pence, Mr. Ratas or the Western media. Moreover, while their deployment to the Baltic region would mark an entirely new — and highly contentious — escalation of NATO's already dangerous policy of provocation in the region, Patriot systems are nothing new in Eastern Europe. Poland, the Czech Republic and Romania have all utilized them in drills, and they are due to be permanently sited in Poland by 2022. Ever since 2014, if not even earlier, the fictional "Russian threat" has been used to justify a huge NATO buildup in the region — as of July 2017, there is an unbroken line of troops, plans, ships and missile defense systems running north to south along the Russian Federation's borders. The approach is dangerous, and extremely costly in both diplomatic and financial terms — but NATO's commanders are seemingly determined to pursue it. 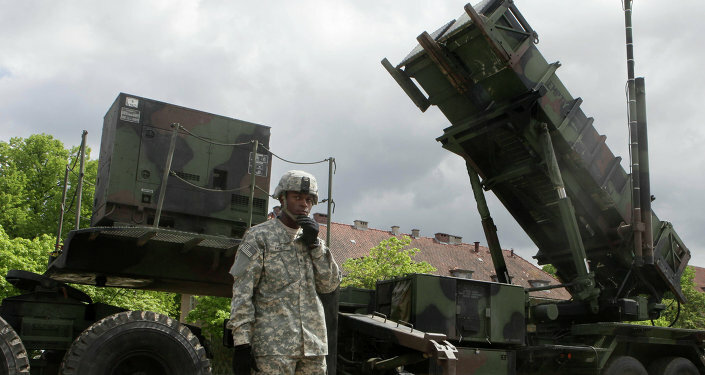 Moreover, there are suggestions the Patriot missile systems will be obsolete by the time they reach Poland, much less become operational (provisionally 2023) — but despite this prospect, the country is committed to splashing out US$7.5 billion on eight Patriot batteries. The immense cost of the systems may offer some clue as to the US' obsession with dotting the Eastern European landscape with its own weaponry — the country's vast defense industry only stands to benefit financially from rising tensions and illusory threats.